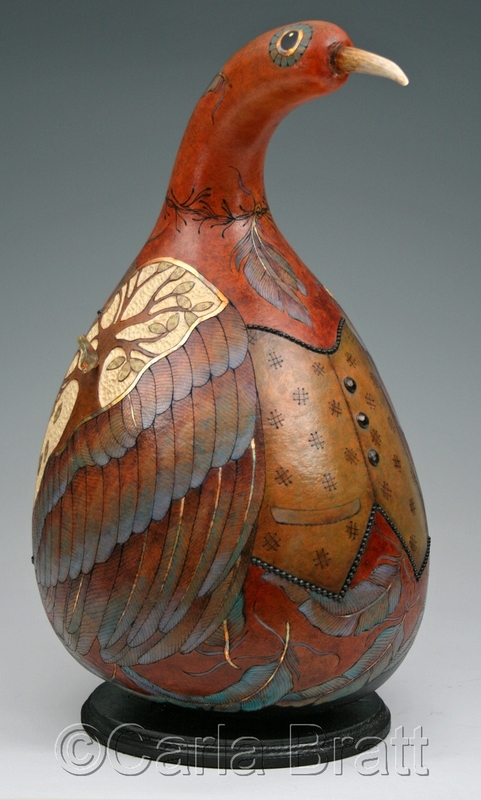 Sculptural bird, fine art gourd; wood burned, carved & hand painted. Tiny wood & gold leaf 3D birds, attached to each shoulder. Vintage paper leaves are part of the learning tree & a vintage paper etching is hand painted by artist & applied to back. Metal beads have been inlaid, as well as a carved bone beak inset to the head. Tacks for buttons on vest. Polyurethane sealed. *SOLD.